We are SO excited here at Adventures in Young Adult Publishing, because among all the other fantastic new releases this week is the amazing second book of our founder - PERSUASION by Martina Boone! 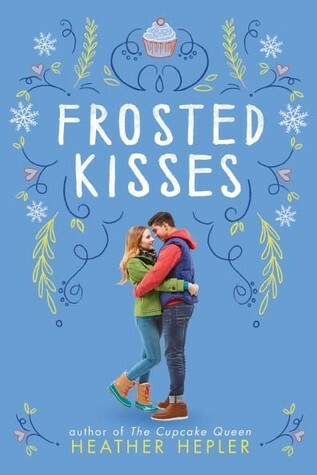 But when Mattie runs into Hudson and gets a glimpse of what could have been, she decides to take it all back: the boyfriend, the friends, the life she was supposed to live. Problem is, Mattie can't figure out where Jolene's life ends and hers begins. Because there's something Mattie hasn't told anyone: She walked away from Jolene over a year ago, but she never really left. Author Question: What is your favorite thing about Underneath Everything? Other than the fact that it’s my first book? If we’re going to skip the whole living-out-my-publishing-dream part, then my favorite thing about UNDERNEATH EVERYTHING is the category. I set out to write realistic fiction. That’s how I queried the book. But that’s not how it was sold. UNDERNEATH EVERYTHING was a psychological thriller when it was announced in Publisher’s Weekly. I’m a sucker for psychological thrillers so I suppose I shouldn’t have been surprised. After all, I had intentionally built suspense and psychological guesswork into the plot, it had just never occurred to me that those things made the story unrealistic. There were no explosions. No deaths. No faked identities. Just a very real, very intense female friendship. For over a year I thought the book would be shelved as a thriller. When my editor emailed recently to tell me that the book would be categorized as realistic contemporary, I was thrilled (after my initial shock!). I wrote this book to explore a very specific kind of relationship—one that I and so many of my female friends had experienced or were still experiencing. It is a real thing. It is happening. And I’m insanely happy to see the category reflect that. Sean dips even further into his magical destiny, but will blood prove thicker than the mysteries of Innsmouth's briny depths? Sean Wyndham has tried to stay away from the lure of magic—the last time he tried to dabble in the dark studies, he inadvertently summoned a blood familiar, wreaking havoc on his town, and calling the attention of the Elder Gods. But now Sean has been offered the chance to study magic with a proper teacher, overseen by Helen Arkwright, a friend of Sean’s father and heir to ancient order of much power, who protects New England from that which lurks in the coastline’s unseen depths. But will learning theory be enough, when there is a much greater magical secret hidden in Helen’s vaulted library? 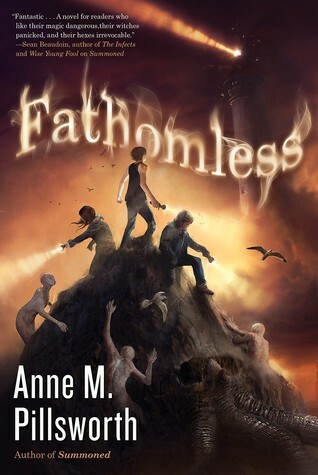 Author Question: What is your favorite thing about Fathomless? I really enjoyed writing about the deepening, more mature friendship between Sean, the main character, and his BFF Edna (Eddy). A new character, Daniel Glass, provided a third wheel to the relationship, but hey, nothing wrong with a good tricycle! Author Question: What is your favorite thing about These Shallow Graves? You're not really going to limit me to just one favorite thing, are you? I love my main characters -- they're very real to me, very alive and passionate and flawed. And I love Oscar, one of the minor characters so much! He works at a morgue, and we share a fascination with forensics, medicine, and bodily functions. Not much grosses us out. I also love the book's setting -- 19th century New York, and still find myself amazed by the Gilded Age juxtapositions of vice and propriety, wealth and poverty, history and progress. A delicious follow-up to Heather Hepler's smash hit The Cupcake Queen! Former Manhattan girl Penny has quickly discovered that life in a small town is never dull. Not when there's a festival for every occasion, a Queen Bee to deal with, an animal shelter to save, and a cute boy to crush on. There's a new girl in town: Esmeralda. She's beautiful, French, and just happens to be Queen Bee Charity's best friend. Penny hopes the arrival of Esmeralda means Charity might be too busy to keep making her life miserable. But Penny doesn't have a lot of time to worry about Charity. Her best friend, Tally, has recruited her to help raise money to save the local animal shelter. Then there's Marcus, the adorable and mysterious boy who Penny thinks maybe likes her as much as she likes him. Plus, this is Penny's first holiday season as a "divorced" kid--although she has no idea what this means. Can Penny help her friends save the shelter, navigate her new family dynamics, and get the boy, or will Charity and Esmeralda find a way to ruin everything? Author Question: What is your favorite thing about Persuasion? The difficulty of the relationships. To me, that’s honest given what Barrie is going through. She doesn’t know why she and Eight are being pulled to each other. Is it because her gift is drawing her toward some lost piece of herself that only he can fill? Is it because, knowing what she wants, he knows what to say and do to make her care for him. Is it because she wants him to like her and his gift forces him to try to give her what she wants? At the same time, because she is the only one of the heirs to the magic who feels its importance—that’s part of the binding, even though she doesn’t necessarily understand it yet--what she wants is very different from what EVERYONE else in her life wants from the magic. Since the love she feels for her aunt, and Eight, and everyone else on the island—all the relationships—are still too new for her to trust them, fighting to protect the magic when she knows everyone else would just as soon get rid of it pits her against everyone else. How does she trust that? How does she protect the people in her life against the new threats from outsiders while at the same time protecting her magic? She’s really between a rock and a hard spot, and she makes a lot of mistakes. One of my favorite things about PERSUASION is that she does make mistakes. That’s a big part of growing up. Every choice she makes seems logical to her at the time, or at least it seems like the least worst option. But all those small decisions add up to bigger mistakes, and she has to find a way to live with that. That spurs HUGE growth, especially in ILLUSION. Which is what I love most about Barrie. Her magic doesn’t make her strong. She becomes strong because having the magic is hard and she has to overcome what the magic forces her to deal with. There is a middle world between life and death, and Tess must navigate it to save her brother in this heart-wrenching story infused with the fractured and fantastical realms of Finnish mysticism. Axel and Tess are bewildered when a stranger shows up in their backyard accompanied by a giant brown bear, but before they can investigate the bizarre encounter, something more harrowing happens: their father is killed in a freak car accident. Now orphaned, Tess and Axel are shipped off to Finland to live with grandparents who they’ve never met, and are stunned to discover that the mysterious stranger with the bear has found them again. More stunning—they come to understand that this man isn’t really a man…he’s a keeper of souls. And the bear isn’t really a bear…it’s a ghost. Their mother’s ghost. Wandering, endlessly, searching for their father. Then the Keeper invites Axel, who is fighting his symptoms of muscular dystrophy, to join the path of the dead—and when Axel disappears into the deep snow, Tess knows she must find a way to follow. 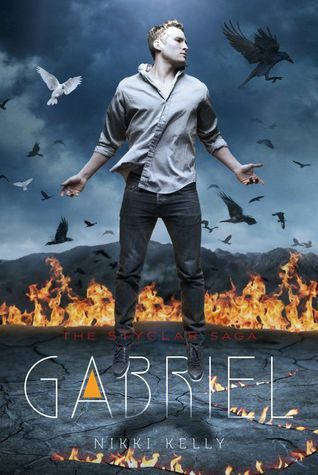 There are mysteries connected to this peculiar man, this keeper, and if she can untangle them, she might not only save Axel, but also bring her parents peace. 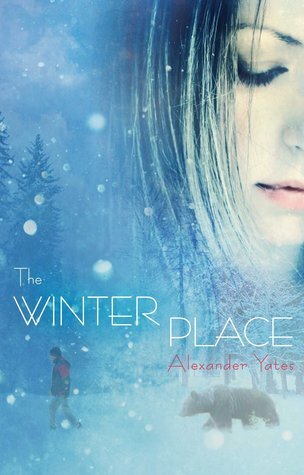 Author Question: What is your favorite thing about The Winter Place? While it might sound like a failing, my favorite thing about THE WINTER PLACE is that it hardly resembles the book I initially set out to write. All of my outlines and early drafts focused much more on the adult characters. Initially I’d conceived of the novel in two large parts—one focusing on a love story between the two adults, and the other focusing on their children years later (with some magic and talking bears thrown in liberally to fill the gaps). There are a number of reasons that I changed course. One of them was that the outline seemed a little too similar to my first book, and I wanted to make sure that I wasn’t falling into a comfort zone. 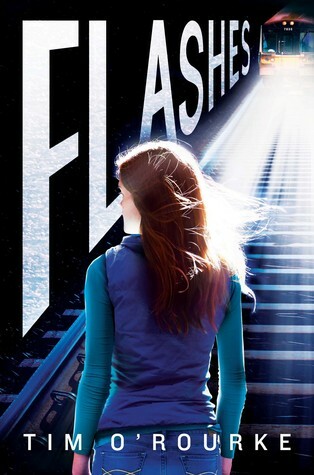 I’d also never written about children or teens before, and I remember thinking to myself: “If you’re going to write about these young characters, you need to be up to the challenge of really knowing them.” Most importantly, I feel like the book itself took control, and told me where to go. Once I really inhabited the point of view of my two young protagonists, I realized that this book was always supposed to be their story. This isn’t just my favorite thing about THE WINTER PLACE. It’s also my favorite thing about the writing process, overall. I love moments that surprise me—whether it’s a turn in a sentence that I don’t expect, or a new direction for a character or plot point. It’s moments like this when writing is most thrilling, and when the work really feels alive. Tell the Story to Its End by Simon P. Clark - Kira B.
Velvet Undercover by Teri Brown - Arlina S.
Willful Machines by Tim Floreen - Alicia C.
Wolf by Wolf by Ryan Graudin - Kara S.
Going Bovine meets Trainspotting in this gritty portrait of at-risk teens gaming the prescription drug trial system. Meet Audie: Professional lab rat. Guinea pig. Serial human test subject. For Audie and her friends, “volunteering” for pharmaceutical drug trials means a quick fix and easy cash. Sure, there’s the occasional nasty side effect, but Audie’s got things under control. If Monday’s pill causes a rash, Tuesday’s ointment usually clears it right up. Wednesday’s injection soothes the sting from Tuesday’s “cure,” and Thursday’s procedure makes her forget all about Wednesday’s headache. By the time Friday rolls around, there’s plenty of cash in hand and perhaps even a slot in a government-funded psilocybin study, because WEEKEND! But the best fix of all is her boyfriend, Dylan, whose terminal illness just makes them even more compatible. He’s turning eighteen soon, so Audie is saving up to make it an unforgettable birthday. That means more drug trials than ever before, but Dylan is worth it. No pain, no gain, Audie tells herself as the pills wear away at her body and mind. No pain, no gain, she repeats as her grip on reality starts to slide…. Raw and irreverent, Placebo Junkies will captivate readers until the very end, when author J. C. Carleson leans in for a final twist of the knife. Author Question: What is your favorite thing about Placebo Junkies? My favorite thing about PLACEBO JUNKIES has to be my main character’s voice. 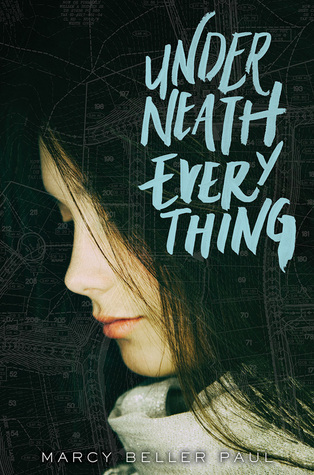 Audie is funny and crude and irreverent and tragic, and her voice became so whole and so real to me that I’ve actually had trouble getting started on my next project because the character’s voice hasn’t yet come to be as fully-formed (yet!). May 7, 1896. Dusk. A swaggering seventeen-year-old gangster named Zebulon Finch is gunned down on the shores of Lake Michigan. But after mere minutes in the void, he is mysteriously resurrected. His second life will be nothing like his first. Zebulon's new existence begins as a sideshow attraction in a traveling medicine show. From there, he will be poked and prodded by a scientist obsessed with mastering the secrets of death. He will fight in the trenches of World War I. He will run from his nightmares—and from poverty—in Depression-era New York City. And he will become the companion of the most beautiful woman in Hollywood. Ambitious and heartbreaking, The Death & Life of Zebulon Finch, Volume 1: At the Edge of Empire is the epic saga of what it means to be human in a world so often lacking in humanity. Author Question: What is your favorite thing about The Death and Life of Zebulon Finch, Volume One: At the Edge of Empire? That it is done! Both books when put together are somewhere north of 1300 pages. In a way, it's thirteen one-hundred-page books, broken up roughly by decade, and each decade required a mountain of research. I've got a fifteen-foot timeline, hundreds of pages of outlines, and to finally put it all away -- which I'm close to, I'm almost there -- feels like some major chapter of my life is ending. I suppose that's sad, too, but mostly I'm happy. I need a vacation or six. But if there's one thing that's always kept Della going, it's her dream of being an elite paranormal investigator. 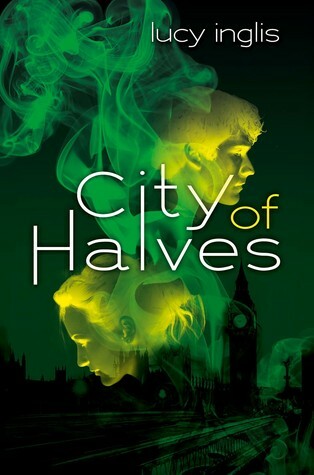 Her newest case is the opportunity she's been waiting for, but as Della tries to solve the twenty-year-old murder and clear her father's name, she uncovers secrets about the vampire council. And about Chase. 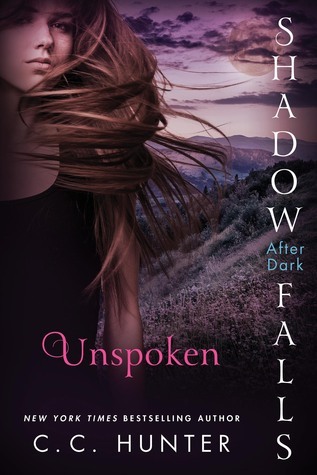 Author Question: What is your favorite thing about Unspoken? I think my favorite thing about UNSPOKEN was watching Della overcome her weaknesses. Della always has been a smart young lady, and on top of that, she’s strong, both emotionally and physically, but her biggest flaw was her insecurity. Most of her self-doubt stems from being turned vampire, which caused her to see herself as a monster. Knowing how people would feel if they knew she needed to drink human blood to stay healthy was like a paper cut across her heart. But oddly that wasn’t even her biggest problem. Readers will remember her aversion to hugging. She hated being reminded that her body temperature wasn’t the same as others. It didn’t help that right after being turned, in TURNED AT DARK, the boy she thought she loved, Lee, touched her and then pushed her away because she felt cold. But Della’s insecurities weren’t really born there. Half Chinese and half white, Della always had a little problem that she didn’t look like her blonde blue-eyed mother, nor did she look Asian like her father and his family. Add the fact that Della felt the need to prove herself because of her mixed race, and when she was turned vampire, her insecurities multiplied and became a stumbling block for her own happiness. I think the reason this part of book meant so much to me, is because in real life everyone struggles with self-acceptance. It is only when we learn to love ourselves, can we reach our true potential. When sixteen-year-old Lily is attacked by a two-headed dog, she's saved by hot, tattooed, and not-quite-human Regan. As Guardian of the Gates, it's his job to protect both halves of the City--new and old--from restless creatures that threaten its very existence. But an influx of these mythological beasts has Regan worried that something terrible--and immense--is about to happen. 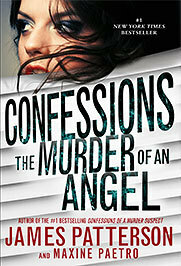 In the dramatic conclusion of the bestselling Confessions series, Tandy Angel's next murder case could be her own! Tandy Angel is losing her mind--or so she thinks. Even as she's forced to fight for the family company, she's imagining new dangers in every shadow. And as her detective prowess is called into question and her paranoia builds, she has to face the very real possibility that the stalker she's convinced will take her life could be all in her head--or the very real danger that finally brings her down. Congrats to Martina on the release of her book! So excited for you. Awesome books out this week! Especially Persuasion! Wow, Persuasion is alive...I'm definitely anticipating that read very eagerly! Thank you for the opportunity to win a copy of this exciting new release as well as several other novels I've been looking forward to checking out -- especially The Winter Place and These Shallow Graves. Last but not least, I want to express my gratitude for the copy of Wolf by Wolf I see that I've won in last week's contest. You've really made my day! Wow! I can't believe Persuasion is here tomorrow! Thanks for the giveaways! Congratulations, Martina, on Persuasion coming out. You must be thrilled! Persuasion and These Shallow Graves are on the top of my list! Yay! Persuasions's out! Lots of good books this week. Thanks for the info. Augh! I hit return by mistake while filling out my address and it won't let me back in to finish it. Don't know what to do. I'm really excited for These Shallow Graves! All I'm thinking today is EIGHT. 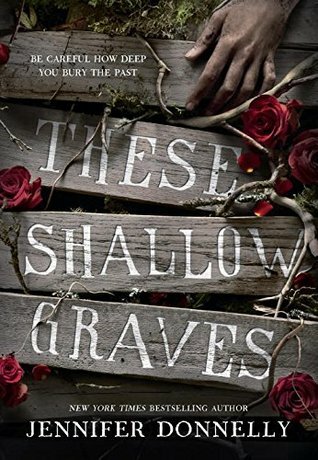 I read an ARC of Shallow Graves and really liked it. Can't wait to read Persuasion! Persuasion and These Shallow Graves definitely look amazing! I am excited about Placebo Junkies. Thanks for the giveaways! Love all of these new releases!